TVU Grid is an award-winning, highly cost-effective solution for transmitting from one location to multiple others with high picture quality and virtually zero delay. It distributes live and recorded video from various sources to a scalable number of other Grid-enabled sites. With Grid, broadcasting stations can transition toward a completely IP-based infrastructure by using a standard contested Internet connection to deliver high-quality, low-latency video from one station to many others, regardless of where they are on the globe. Low-cost, limitless scalability — Any number of stations can be added to the Grid without having to increase each individual station’s bandwidth requirements. Frame-accurate, unlimited switching — TVU Grid enables no-interruption switching between multiple IP-based video streams without the need for a converter. Simple operation — A user-friendly web interface grants full control over TVU Grid servers. Through the Grid infrastructure, users can access Grid Market, where they can view, share and exchange public TVU Grid content from around the world. Content owners can directly authorize transmission for quick and reliable video transfer, saving users time and effort. 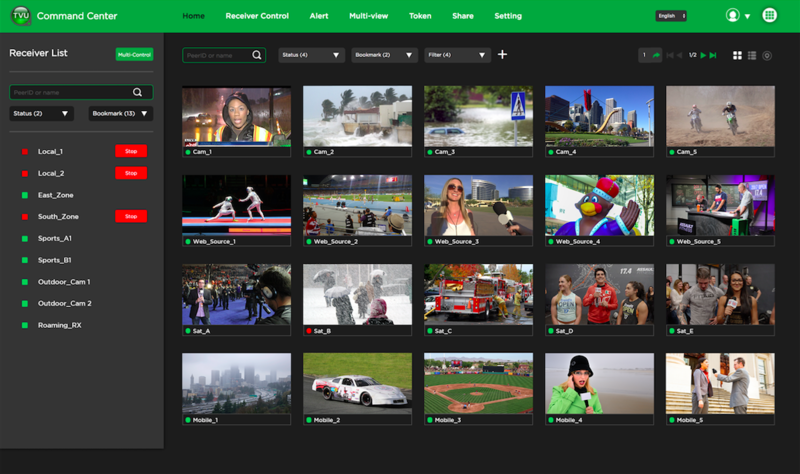 TVU Grid Market provides a wide pool of sources for broadcasters to contribute to and pull from, so that content can be utilized on a large scale.